Directed by Nicolas Winding Refn and starring Ryan Gosling, ‘Drive’ may give the impression of being yet another crime thriller filled with pointless action scenes and meaningless dialogue sequences. However, this first impression is false. Compared to other action movies, ‘Drive’ is like gold itself found on top of some pile of garbage. 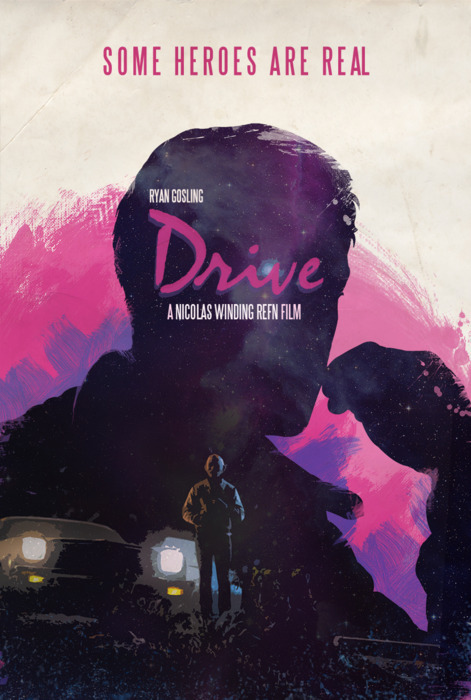 With an amazing soundtrack, cast, performances, script and, above all, that nostalgic and unforgettable 1980s feel to it, ‘Drive’ is an impressive film, giving off brilliance of some kind of a cult movie, which maybe only be comparable to ‘Taxi Driver’ (1976). 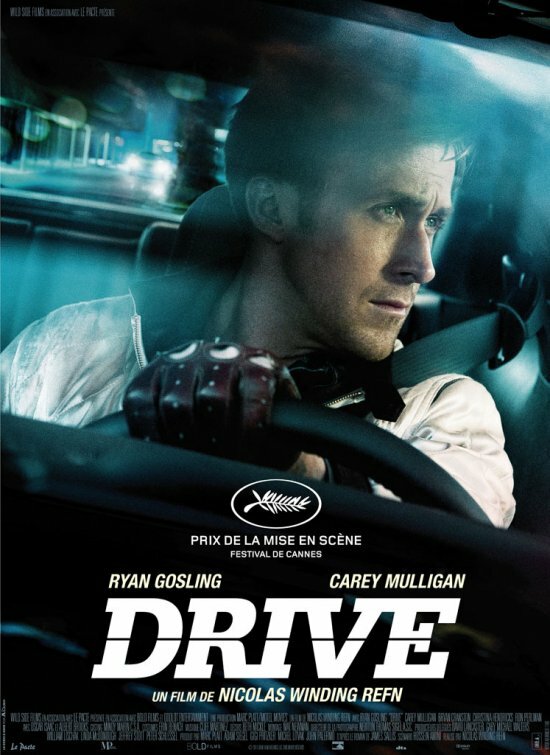 In the movie, Ryan Gosling (Driver) is a movie stunt driver and a getaway driver for criminals, who also works as a mechanic in a garage owned by Shannon (Bryan Cranston). Shannon borrows money from mobster Bernie (Albert Brooks) to sponsor Driver’s car. Meanwhile Driver starts to care for his neighbour Irene (Carey Mulligan), who also has a kid. When Irene’s husband, Standard (Oscar Isaak), comes home from jail, it transpires that he owes money to the mob, particularly to Cook (James Biberi), who threatens his family. Driver agrees to help Standard commit a crime by being a gateway driver in the heist. Unknown to Driver, however, Bernie is also involved in the activity, as well as his business partner Nino (Ron Perlman). The heist does not go according to plan, and as Driver immerses himself in the world of violence to save the family he loves, he realises that he may be paying for their protection with his life. The film requires attention and concentration, and it is definitely not for those who prefer intense frequent action scenes with buckets of dialogue in between. The film’s slow pace is precisely why it is considered so unique, and why it becomes so fascinating to watch. The unhurried pace of the movie allows the viewer to slowly step into the Driver’s world, while also have time to ponder over the Driver’s personality and life; this is one thing that few action thrillers allow nowadays with their “hectic” scripts and over-the-top special effects. While watching, one can just savour each scene, consider its mood, and think deeply about characters’ emotional states and thoughts. The moments of silence in the film speak volumes, and Gosling is partly to blame for the movie’s brilliant eerie and moody atmosphere. As with the main character, the film’s slow, cool and detached façade hides the true strength of character and a collection of terrible deeds of unspeakable violence. ‘Drive‘ has a great character study. Driver is a complex personality, full of principles. His outward appearance suggests a tough, cool loner with an admirable self-control, who is also good at his job. Inside, however, everything points to a mysterious man with deep convictions and emotions, who probably has inner strength, strong will and penetrative mind. Driver, a man of few words, is as intense as he is sympathetic. Undoubtedly born under the astrological sign of a Scorpio (as was, in fact, Gosling himself), the Driver’s steady, penetrative, unforgettable gaze makes people very uncomfortable. Gosling gives an assured, confident performance. Gosling’s habit of imposing himself on the audience subtly, but persistently finally pays off in this film. Here, Gosling is no longer a cocky lawyer of ‘Fracture’ (2007) or a hopeless romantic of ‘The Notebook’ (2004), or even some steady and disillusioned husband of ‘Blue Valentine’ (2010). In ‘Drive’, Gosling is finally ‘himself’: a cool guy on the outside and an unbreakable hero on the inside, who knows exactly what he is and what he is not. In ‘Drive’, Gosling does not even have to say much to get one’s undivided attention, so powerful is his magnetism. Taking into account Nicolas Winding Refn’s interest in depicting violence, e.g., ‘Bronson’ (2008) and ‘Valhalla Rising’ (2009), extreme brutality kicks off in ‘Drive’ predictably, even if only on a 62-minute. The scenes of violence are not trivialised here in the style of Tarantino, but have a surprisingly realistic feel. It is also interesting to see how the film quickly switches from tender moments of romance to graphic depictions of extreme brutality – there is a scene shot in an elevator, which provides the main example. 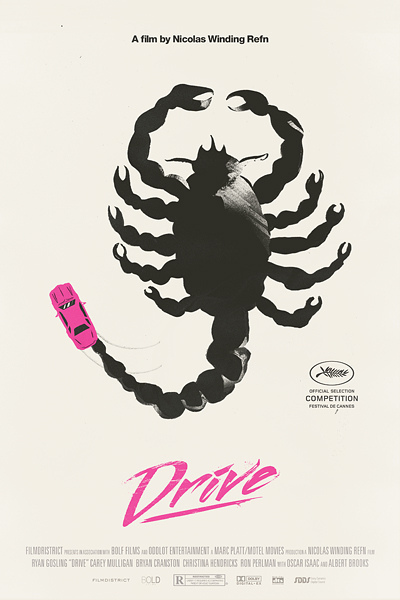 In this sense, ‘Drive’ is also a film of extremes – extreme violence and bottomless, selfless love play together and interact spontaneously. The supporting cast is equally great. Carey Mulligan plays a quiet and dignified Irene convincingly, and so does Bryan Cranston in his role of the Driver’s employer, emphasising his character’s weaknesses with a great skill. Albert Brooks is also both imposing and very terrifying in the role of Bernie. The soundtrack to this film deserves a special mention – it has songs (an 1980s collection) which fit the picture so perfectly, one may wonder how on earth someone could have come up with something as ingenious as that (well, maybe only Tarantino could have done that). Thanks. To be frank, I’ve not watched the film for so long because I have been skeptical about the plot and Ryan Gosling. But the film turned out to be really good.